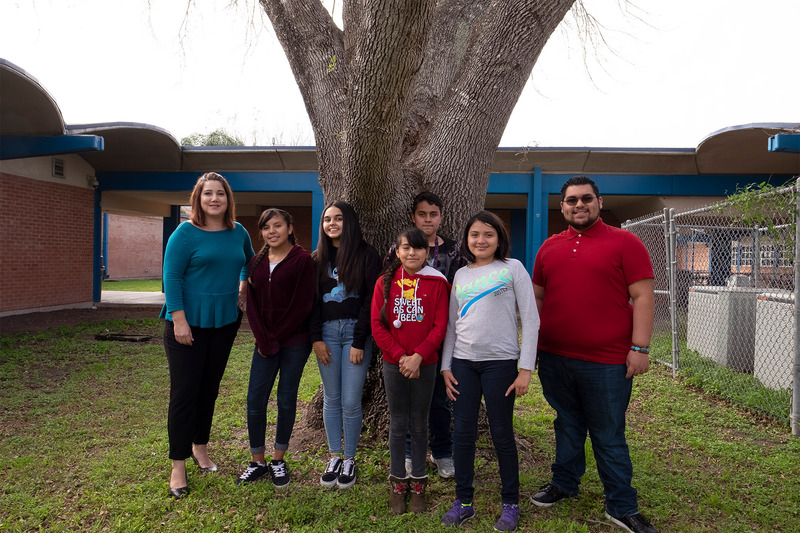 Coakley Middle School students, Francisco De Jesus, Liaida De Jesus, Kia Juarez, Vannya Alatorre, and Jesica Juarez, were selected as winners of the Rio Grande Valley Texas Association for Bilingual Education Student Video Contest. In their video, “The Power of Bilingualism,” the team portrays the importance of being bilingual. “We wanted to give an example of what life is like when you don’t know the language that is being spoken and hopefully people can relate with what they are seeing,” said Liaida De Jesus. “I think it’s beneficial to know two or more languages because you can have a better future and a better career,” she said. The team was recognized for their efforts on Saturday, Jan. 19, at the South Padre Island Convention Centre where they were awarded a scholarship of $250 to divide among themselves. Assisting the students were their ESL teacher Jose Sanchez, Library Media Specialist Mireya Galvan, and Damion Pecina as the cameraman and editor. Click here to view the team’s video.